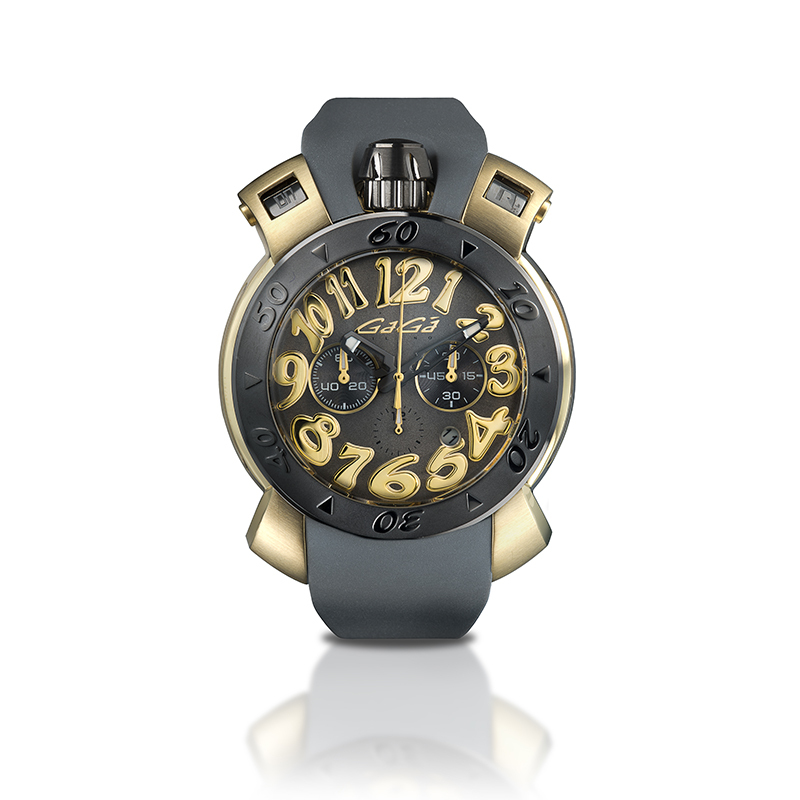 Brushed dial with metal arabic numbers, luminescent steel hands. 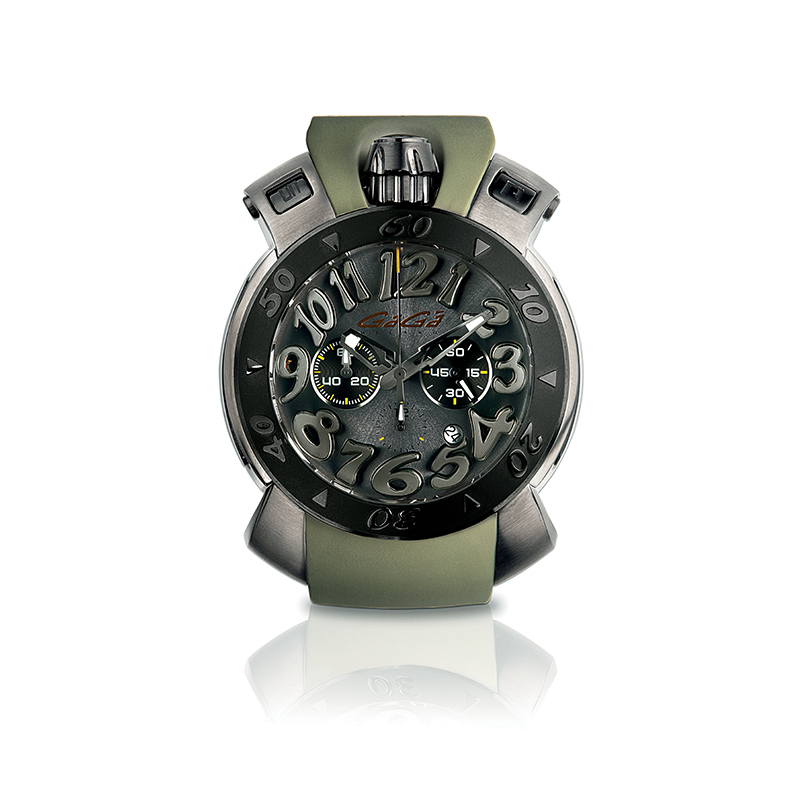 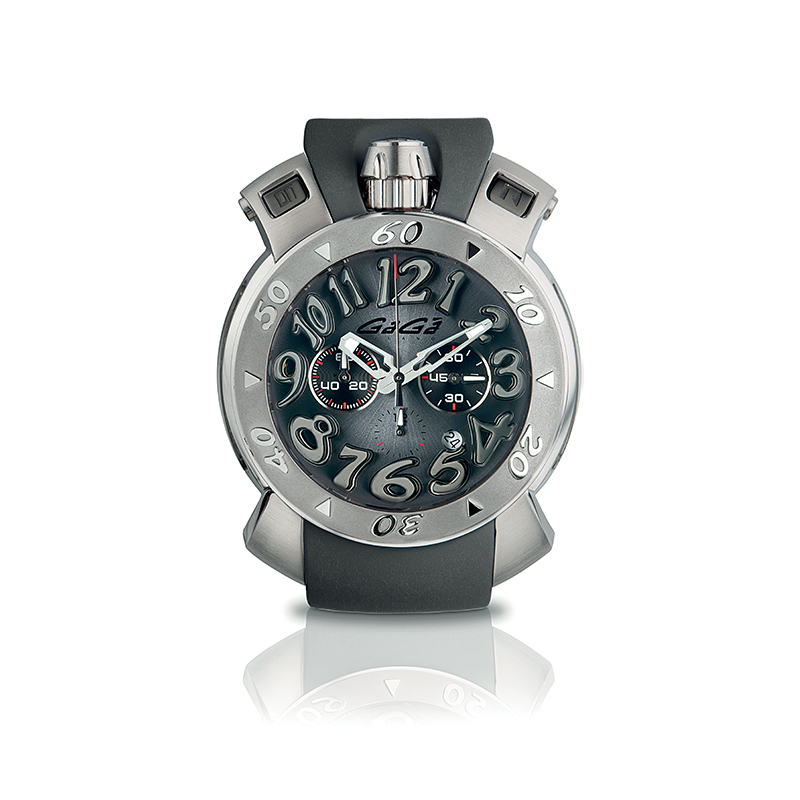 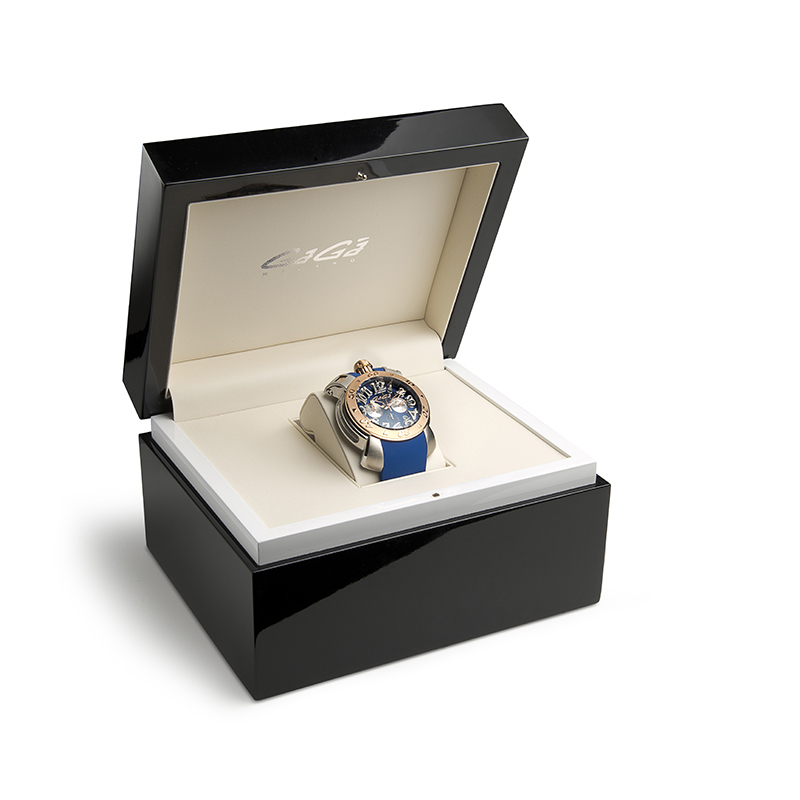 The steel case with gun pvd treatment, the external bezel rotates and the screw caseback has engraved the dom of milan. 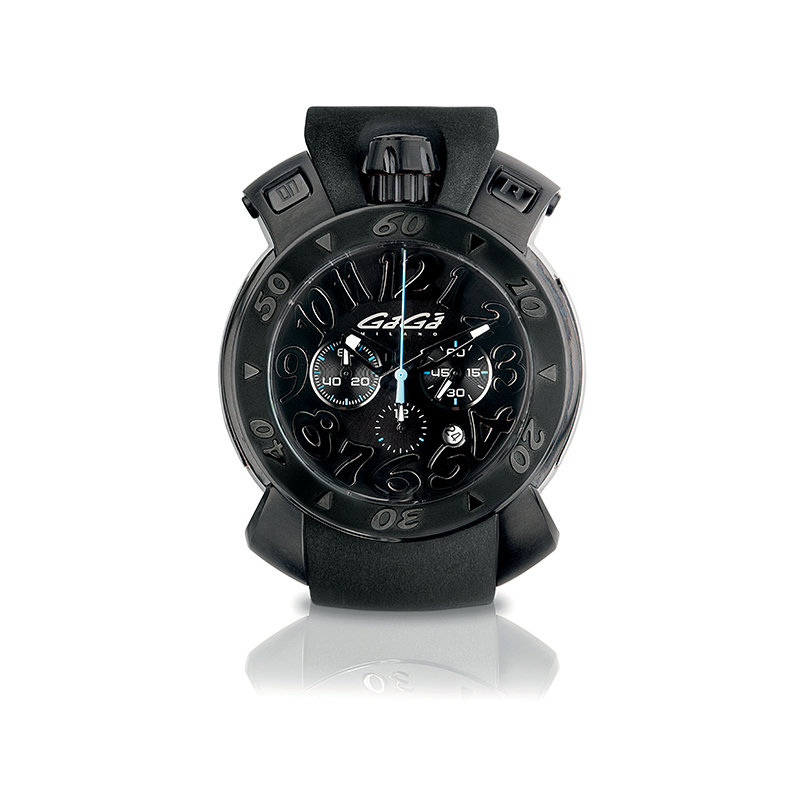 The chronograph buttons are protected by openable lugs that prevent accidental activation. 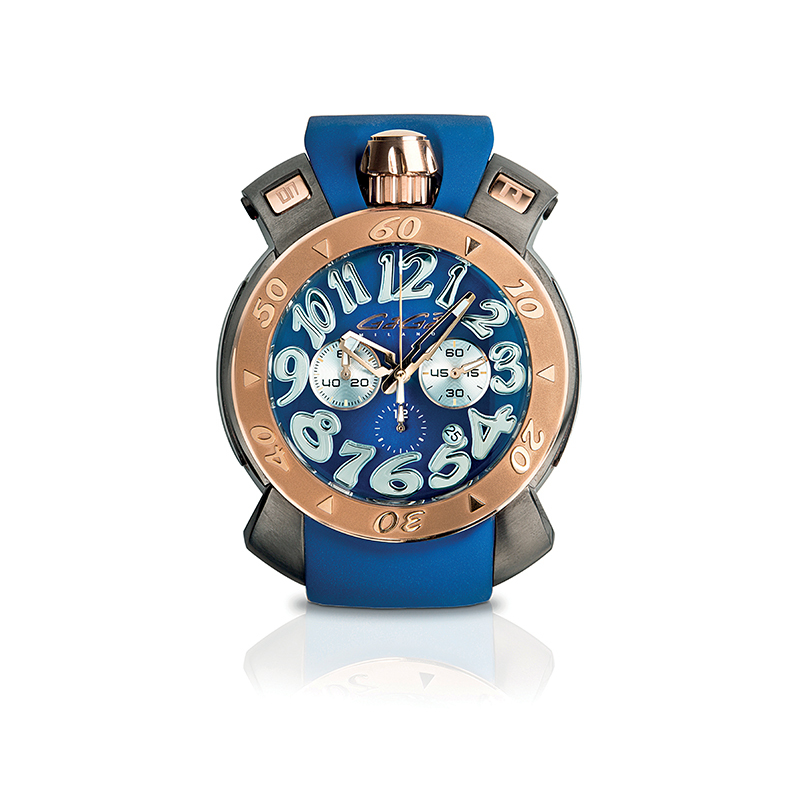 On the case side a glass porthole with a ring decorated with numbers.